Infrared heaters provide cosy, pleasant temperature immediately after you switch them due to direct conversion of energy. That means they can be used indoors and outdoors as efficient and reliable helpers late at night in summer, on the ski lift, in culinary establishments, production facilities and construction sites. Infrared heater instead of fan heater? NEW: In a hurry? Read the abridged version. Electric fan heaters evenly warm up the air inside the room, which is a great way to support or even replace radiators in bathrooms and other enclosed rooms. In most cases however, infrared heaters are the better choice, because they are more advanced from a technical point of view: The emitted heat does not need a transmitting medium (air) to reach the human body. IR radiation spread in waves and react when hitting a solid surface, meaning the heat only develops once it reaches the skin. 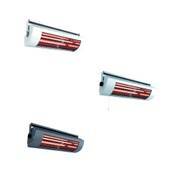 Such heaters haven proven to be very efficient in outdoor areas and passages with strong drafts. Regardless of weather conditions, people inside the covered area receive pleasant warmth. In contrast, a fan heater would have trouble in windy places: The heated ambient air would simply be blown away with the next breeze! The same goes for gas-fuelled heaters that you can often see in restaurants and bars. Other benefits an infrared heater offers you: Unlike a radiator, it will not dry out the air inside the room after hours of usage. This prevents damage on the mucosa in nose and pharynx that require a certain level of humidity. This problem does simply not occur when using an indoor infrared heater! Another advantage: UV lamps do not only produce heat, but also light (except blacklight heatpanels). This creates a wonderful ambience in the evening! However these special lamps are not suitable for lighting an entire room and cannot replace a ceiling light. Infrared heaters are perfect for outdoor areas, smaller models are great for bathrooms, above changing tables and in living rooms. We generally recommend fan heaters for enclosed rooms or flammable surroundings! In terms of power consumption the heaters are cost-efficient heat source: They are only switched on if it is actually required. Unlike other devices they do not have a start-up phase and do not need to heat up the surroundings before humans can feel an increased temperature. 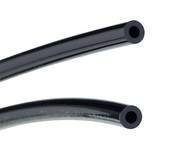 The service life of the lamps is outstanding, some manufacturers produce tubes with up to 5,000 hours life – this corresponds to 10 -15 years with average use. PS: The outdated technology behind gas heaters is neither cost-efficient nor recommendable due to their excessive consumption and lack of safety standards. 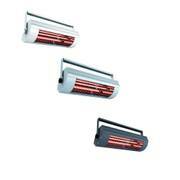 Our range includes near-, mid- and far-wavelength heaters. 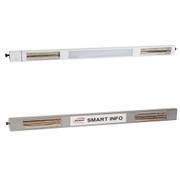 However, there are many different types of heaters and IR lamps that can be applied in many different situations. The producers in our range have come up with a couple of brilliant inventions amongst the UV lamps, so that sometimes there smooth transition from near- to mid- to far-wavelength heaters. Gold lamps: Visible red light emitted by IR-A heaters is not always desirable. A gold coating subdues the visible light, whereas the heat energy stays the same. Fiore lamps emit a yellow light that is similar to the light of an incandescent bulb. Ruby lamps contain red colour pigments inside the glass, resulting in an orange-red light. Solastar, the lamps by producer Solamagic, promise a reduction of the visible light by 92 %. Near-wavelength Low-Glare lamps made by CasaFan have a special coating which reduces the light output by as much as 70%, meaning they are ideal for use in workshops and production facilities as they have less dazzling light. Mid-wavelength quartz lamps are suitable for use at home because their radiation does not penetrate skin as deeply as their near-wavelength counterparts. Filament (heating element): Turkish producer Veito offers lamps with a service life of ca. 10,000 hours! Extend the service life of your device with just a few steps! Usually the tubes are easily accessible when the device is turned off, so that replacing the lamps can be done within a matter of minutes. Consulting a specialist is only required in very few cases, for example if the lamps are integrated into the structure of the device. Outsmart sudden changes of weather – Infrared heaters are ideal for extending the summer! Whether you enjoy sitting on the patio in the evenings to marvel at the moon and clear sky, maybe even sleep outside, or want to support the little fireplace of your garden party, or simply do not want to freeze in your pyjamas when having a smoke on the balcony: There are so many possibilities to use a heater at home. Heaters with extras – for restaurants and events! 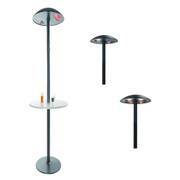 Weatherproof and hospitable – available as option with table and advertising space! Ideal for parties under the marquee and in the garden: A ceiling mounting option can save a lot of space in small spots. If you are partying in bigger areas, the heater can also be attached to a tripod. The integrated loudspeaker is an absolute highlight! 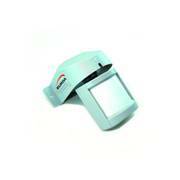 Infrared devices for use in workshops should definitely have a certified IP protection! Particularly if water, steam or other fluids are being handled or the device is set up outdoors. A protection against flammable dust or other particles such as chipped wood is also advised! 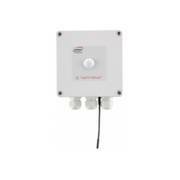 It is also important to pay attention to the surface the heater can cover, we offer products with up to 80 m2. Please do pay attention to the manufacturer’s specifications to make sure the device your are interested in is actually protected from water (if required), suitable for outdoor areas (with or without roof) or if it is only allowed indoors. 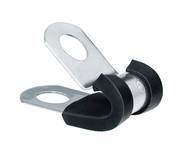 Industrial devices for example, are sometimes even protected from temporary submersion in water! Portable devices for use at home are often very easy to transport, meaning they can be set up in many different places. 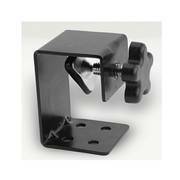 The mounting can be supported by pedestals, tripods or additional wall brackets. 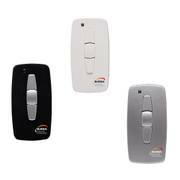 Radio remote controls and transmitters make it much easier to use the heater from afar! In restaurants for example, this allows you to regulate heat without attracting attention or disturb the privacy of your guests. 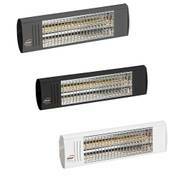 A dimmer module comes in handy during sudden changes of the weather. Please do adhere to the safety distance stated by the manufacturer! This prevents accidental touch, burning of clothes and a “sunburn“ on your skin. Do not look directly into the lamp and keep away pets and small children. Device that are put on the floor need an even, stable foundation! 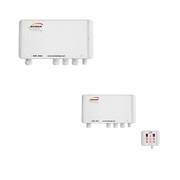 In places with fire hazards, such as wooden sheds or industrial environments with explosive gas only heaters with special certification can be used. 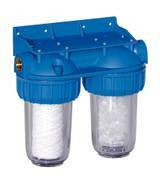 Products in our range are usually low-maintenance or maintenance-free. 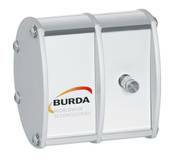 The place of application and the coverage should be coordinated with the item’s specifications. We recommend reading our guide about safety measures. 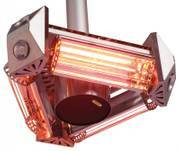 Infrared heaters are ideal to heat wide spaces and areas that subject to harsh weather conditions. Immediate heat, protection against dust, rain, snow and splashing wate rare just a couple of the many benefits. 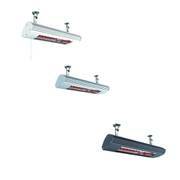 The infrared heaters in our range can be applied in many different situations. You would like to ensure a cosy atmosphere for your guests despite darkness and cold? Or you simply want to enjoy being outdoors on your patio late at night? In this case we have the perfect solution for you. The emitted short-wavelength infrared radiation only starts to react when it hits a surface, meaning that no heat is lost on the way from the heater to you. 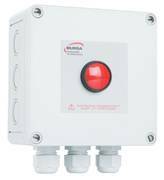 Whether you want to mount the heater to the wall, suspend it on steel ropes, attach it to a parasol or tripod – we offer a handy and reliable solution for your project. 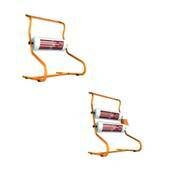 The heaters Triangolo or Casatherm even come with an included mounting kit. 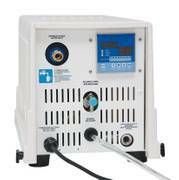 Heating indoor areas such as production halls and commercial kitchens is not a problem for our products. 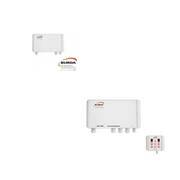 Low maintenance and long service: Our electric heaters are guaranteed to have these two properties. 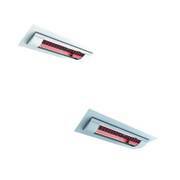 The halogen infrared lamp Petalo, for example is designed to last 5,000 hours. 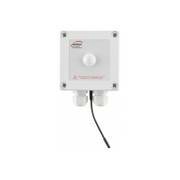 On top of the robust construction of the devices, there are even models protected against splashing water. 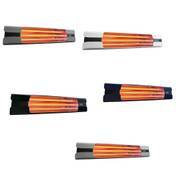 The appealing design acts as attractive eyecatcher for your guests or friends.